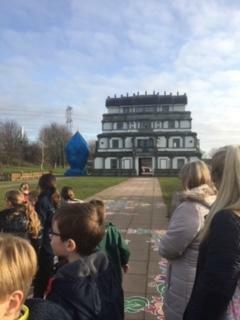 On Tuesday we went to the Shri Venkateswara in Tividale. 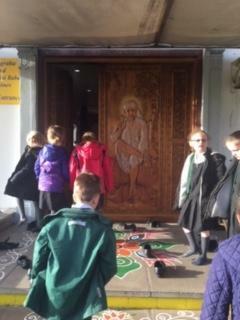 We had a lovely morning and learning more about the Hindu religion, observing first hand how they worship and their traditions. 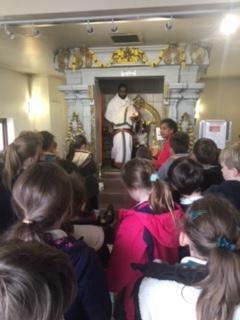 We spent our time going between the different temples and learning more about the different Gods. 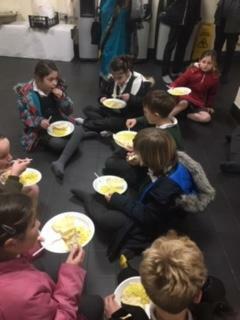 We all enjoyed it very much and were well looked after, at the end of our tour we were offered some lovely rice and popodoms! We all really enjoyed our morning out and learnt a lot. We have been learning about Remembrance Day and what we should remember about all the soldiers that fought in the World War 1 and World War 2 and all the animals that got trained to look out in the wars.They used Dogs, goldfish, pigeons and hawks. We also did some art work we worked in pairs to make silhouettes of soldiers that fought in the war. This term, Class 3's topic is Ancient Greece. 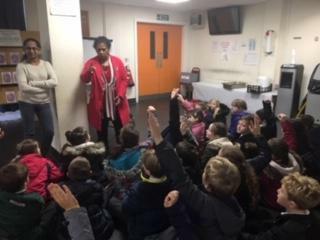 We have learnt lots about Ancient Greece over the last few weeks including: What men, women and children's roles were, the differences between Athens and Sparta, Where Greece is and how it has changed, What famous buildings are in Greece and what Greek art and pottery was like. In class 3 we came up with our own version of the Greek Olympic Games.We had one group doing the opening ceremony, another doing flags and mascots, one doing medals and another planning all of the sports. On Friday 26.10.18 we all got put into teams and went out side to play the sports! 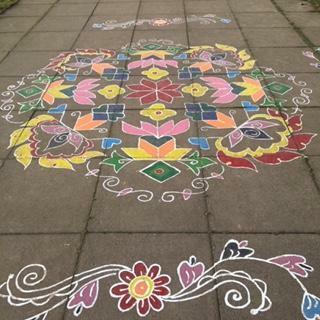 We had medals for gold, silver and bronze winners, and for everyone who took part. We all showed good sportsmanship and congratulated each other whether we won or lost.